Over the past few years, several companies installed the GPS tracking system in their workplace. And this is due to the remarkable reduction in the cost of installing trackers to the business. Actually, even small enterprises have now started to utilize the system for enhancing the bottom line of their businesses. Through employee monitoring via GPS, you will be able to monitor the quality of a work rather than the quantity. In addition to this, you can enhance the employee productivity, augment the customer service, provide employee promotion and increment, based on the data from the trackers, and thereby, stabilize your business. Certainly, there are employees who believe that monitoring is thoroughly unfair. But this is a wrong perception. Most companies use trackers in their equipment with the prime goal of reducing its misuse by the employees. With the help of a tracking device, you will be able to locate the position of your vehicle, ensure that the employee is fulfilling delivery on time. Moreover, in certain cases, you can monitor whether the employees are clocking in and out according to the working hours. But there are trackers that track the activities of employees around the clock. This is an invasion of privacy and is against the law as once the employee leaves your workplace, you will not have any right to track their private life. If it is tracked, the employee can seek the court and sue the employer (the lawsuit of Myrna Arias against her employer John Stubits). People have a common misconception that tracking employees via GPS is indeed a gray area for employers. Generally, as per the agreement, if tracking is done properly, you will never confront a legal challenge from the employee. Strangely enough, the consensus balances the employer’s right to know the usage of a company equipment with the employees’ right to privacy. 2. 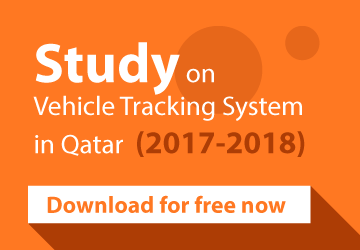 Inform employees regarding the installation of trackers and have them accept the decision as part of using the company equipment. 4. Demonstrate the benefits of using the GPS tracking system and provide incentives to driver. Above all, precautions should be seriously considered and you will never fall into legal consequences, once you have done tracking with the support of employees. On the other hand, with the GPS tracking system, you will also be able to appreciate the benefits like improved productivity, advanced security, and global competence for your business. A person who is within the organisation who recognizes or witnesses the unnecessary tracking by the employers can seek internal channels such as ombudsmen or external channels such as Central Government officials or auditors or the SEC (US Securities and Exchange Commission). Whistle-blowers should be encouraged properly to prevent the wrongdoings of company officials. Ask them to report to relevant authorities without reluctance whenever they face an ethical crisis in the workplace. As the practice of whistle-blowing is approved by the Government, such cases comes under privacy violation as per the Information Technology Act. Ironically, invasion of privacy is a major issue faced by several employees today, especially, those working in companies. Employee monitoring is presumably a common practice adopted by companies to enhance their bottom line. Employee monitoring can paradoxically discourage the employees as they think that the management mistrusts them. Nevertheless, proper tracking can never trap an employer into unnecessary legal consequences.